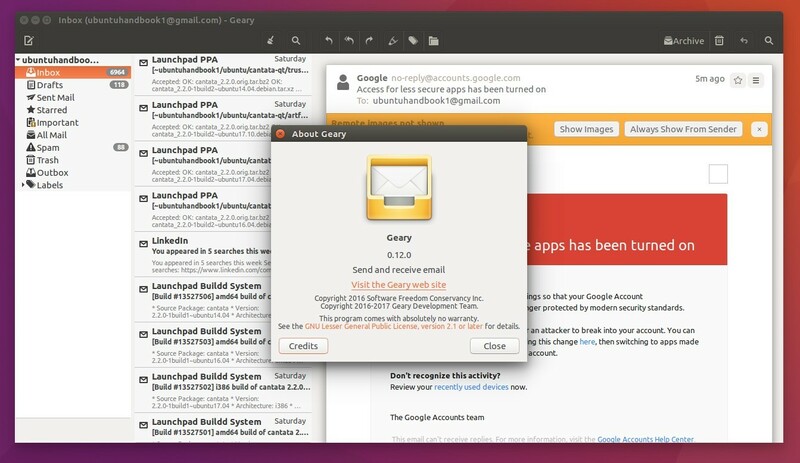 Geary, a modern email client for the Gnome 3 desktop, reached the 0.12 release a day ago. Geary 0.12 features following changes according to the release history. 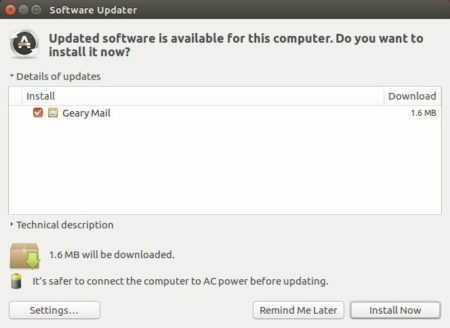 Geary has an official PPA contains the latest packages for Ubuntu 16.04, Ubuntu 17.04, and Ubuntu 17.10, though Geary 0.12 is already available in Ubuntu Software for Ubuntu 17.10. Note that Gmail user need to update your Google Account settings to be able to connect via Geary. And remove the PPA by launching Software & Updates utility and navigating to Other Software tab.